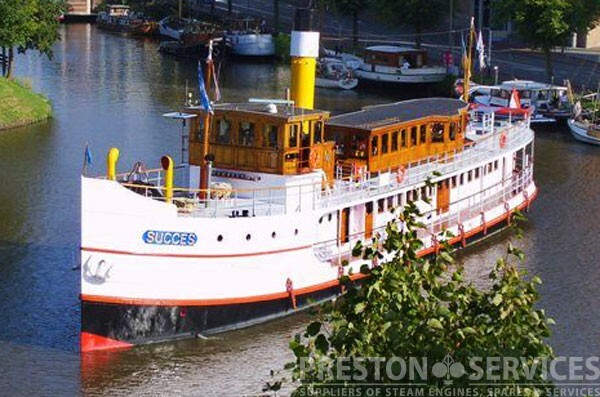 An unusual opportunity to buy a complete and operating passenger carrying steamship. 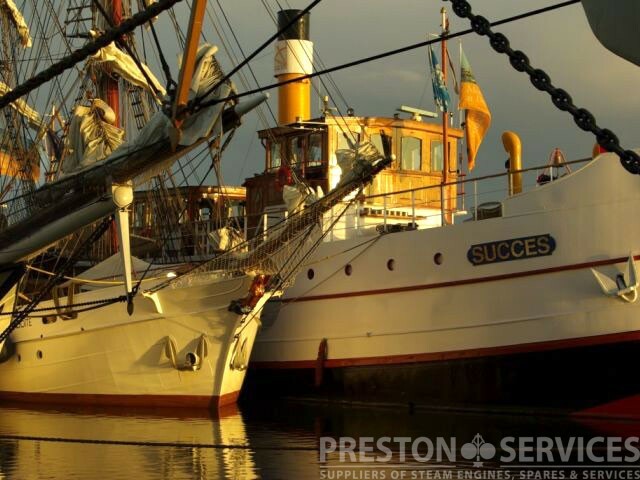 S.S. “Success” was built 1897 and completely restored 1994. 38.5 Mtrs Long x 7.15 Mtrs Beam. 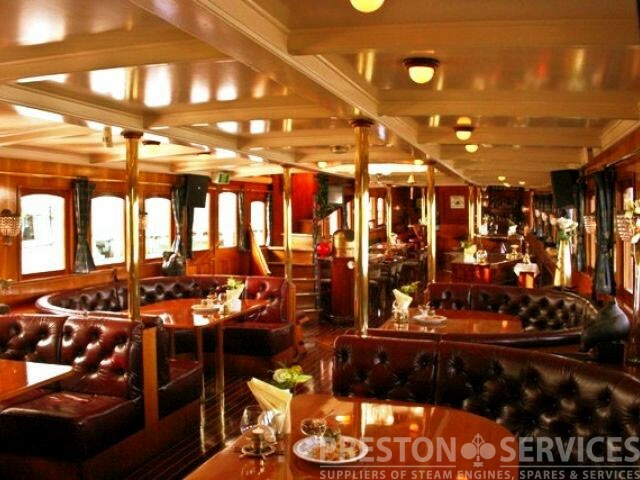 Certified for carrying up to 110 passengers, the vessell has a pair of triple expansion steam engines and twin oil fired ‘Scotch’ type boilers, all in excellent condition. 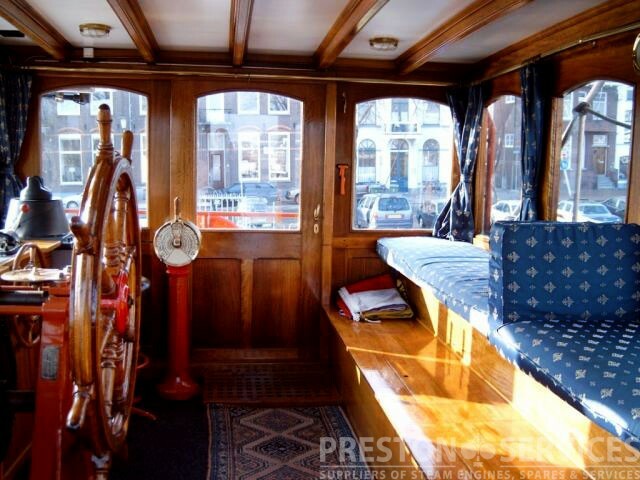 The interior of the vessel is lavishly equipped and furnished. 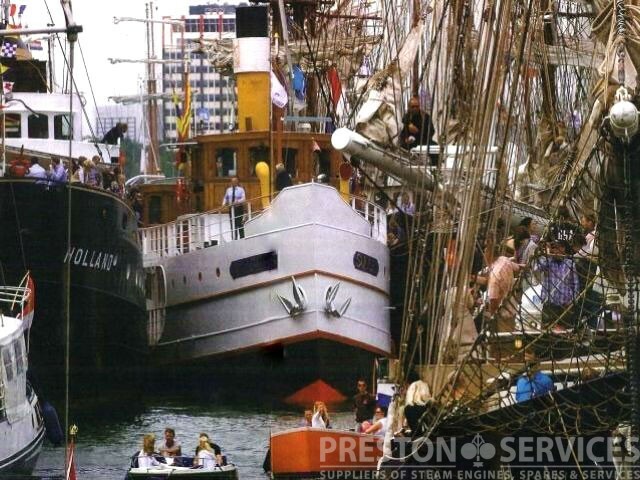 All modern construction and safety features are incorporated, together with numberous useful and interesting additions, such as auxiliary diesel propulsion and even a steam calliope! 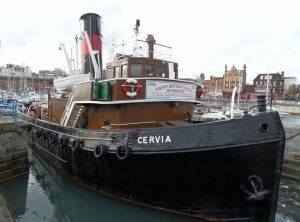 Built in 1946 for use as a fleet auxiliary by Alexandra Hall, Cervia is the only “Empire” class ocean-going steam tug to survive in the UK. 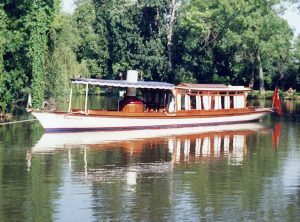 A Thames saloon launch built in 1898 by Bonds of Maidenhead. 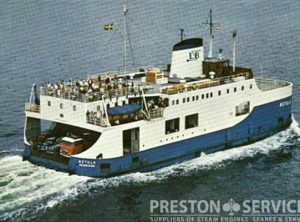 Rebuilt 1968 by Lawrence Weaver and fitted with a twin high pressure steam engine and oil fired Lune Valley boiler. 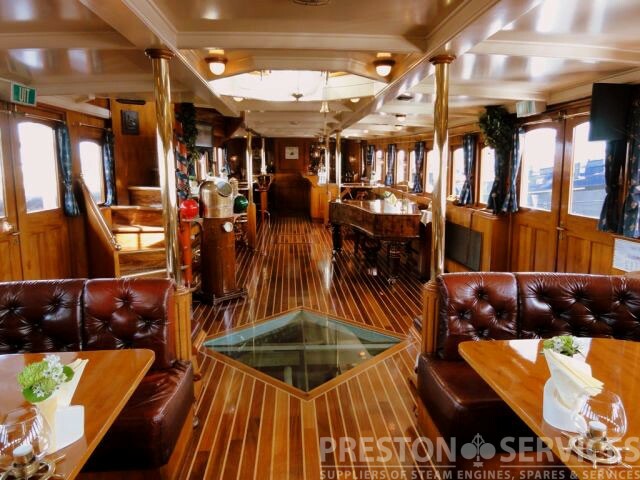 Clipper bow, counter stern, wheel steering, steam heated aft saloon, 3 berths, white, varnished teak saloon, deck and interior, 7 knots. 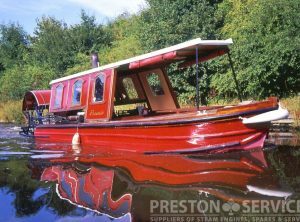 Boiler: Lune Valley type WT Built 1980 by John Ashton at Wallingford. Fuel: Oil. Engine: Twin High Pressure 5″ + 5″ X 6″. SV valve. 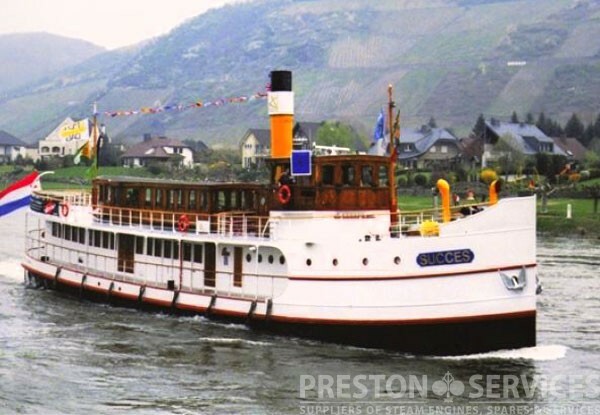 This vessel was built in Kingston upon Thames in 1894. 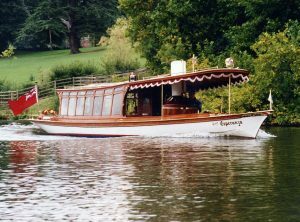 She worked out of Worcester on the Severn for 80 years, and she last worked in 2009. 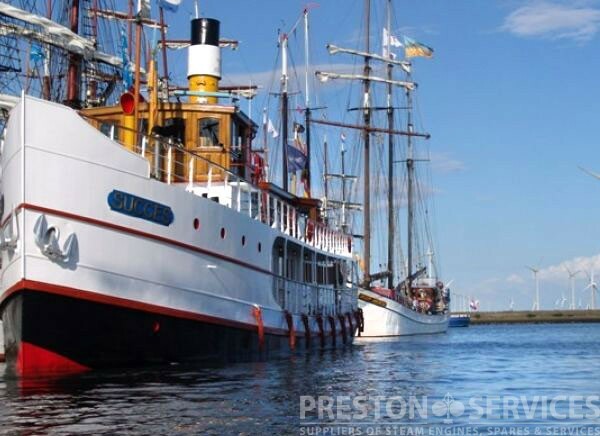 Potential for private yacht or historic passenger carrier. 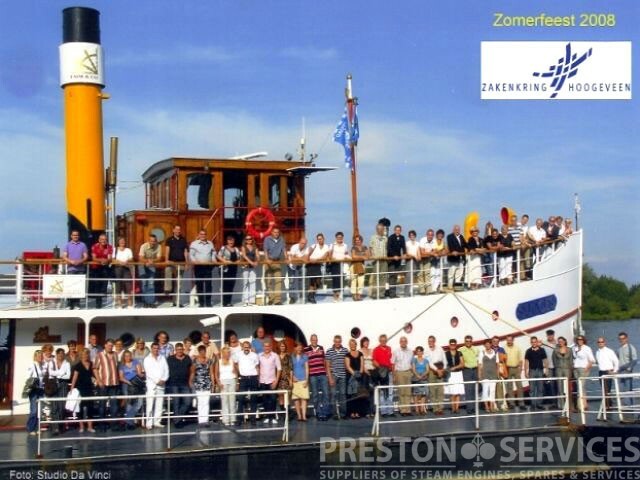 She was licensed to carry 100 passengers. 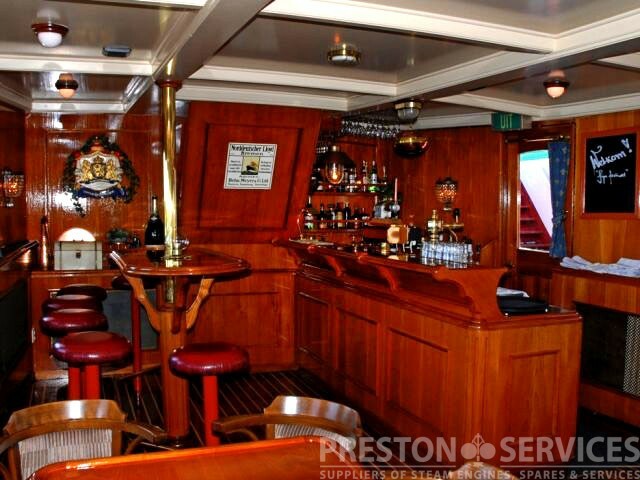 Equipped with galley, bar and 2 WCs with ornate hand basins, and a large dining area. 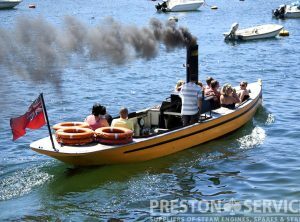 Converted from steam, now fitted with Gardner 84hp diesel engine. 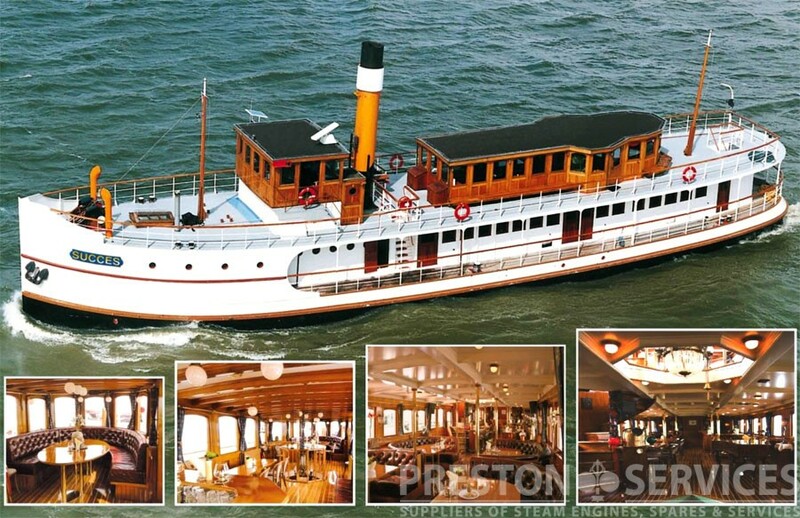 Teak on oak framed hull, lowering funnel and awnings for low bridges, original ship’s wheel and telegraph, modern electrics, transportable by road. 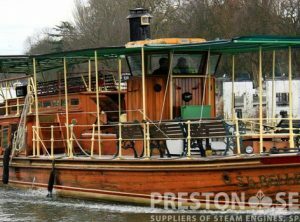 This elegant steam launch was built c1900 and is 30ft long by 6ft 10in beam. 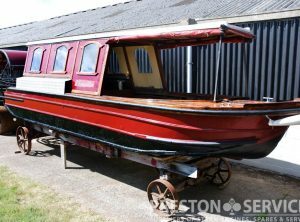 Gallant draws about 2ft 6in when loaded, hull being of carvel construction: pitch pine planks on sawn oak frames, with laid hardwood decks. 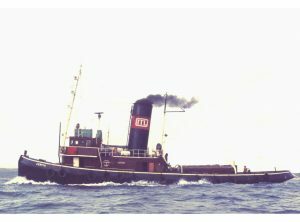 Restored and returned to steam around 1990. 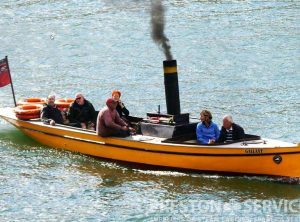 Engine: 10hp V twin compound 3” x 5” x 4″, giving top speed of 7 knots. Boiler: Coal fired 3 drum Yarrow type water tube boiler, working pressure 180 psi. 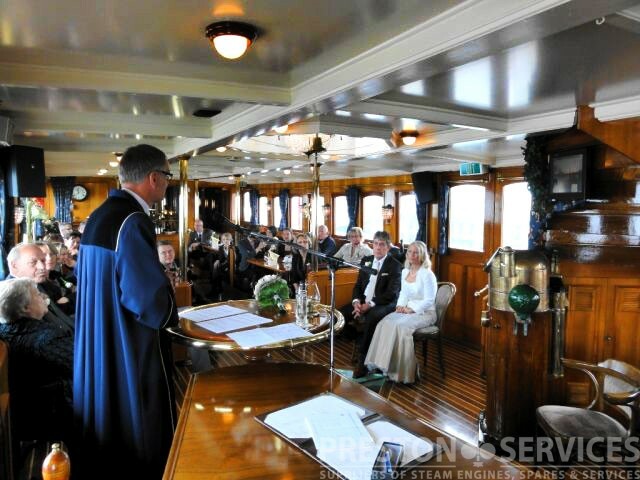 With current annual inspection and 10 year hydraulic inspection certificates as of March 2016. 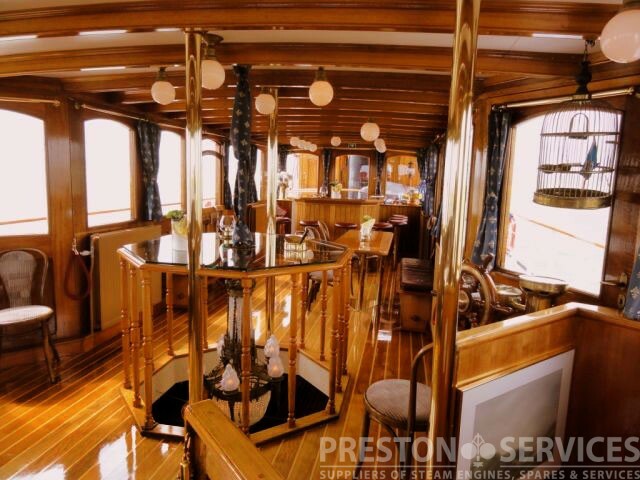 For many years Gallant has been operated as a full time business, carrying up to 12 passengers for trips on the river Fowey in Cornwall. 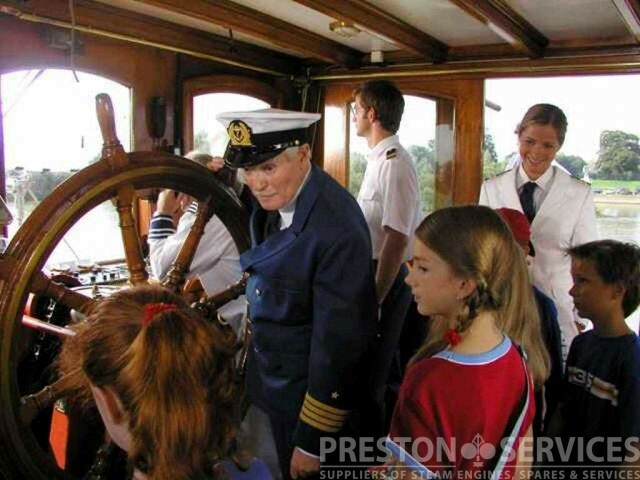 As such, the launch is fully licenced to operate by the local harbour authority, with annual inspections. Watch a video of Gallant here. 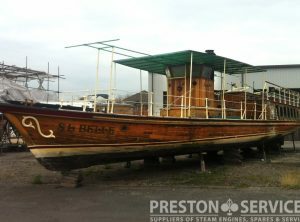 An unusual opportunity to buy the remains of a steam ferry, originally built as the S.S. “Perch Rock” by Caledon S.B., Dundee in 1929. 2x triple expansion main engines 14½ + 28½ + 38 x 24” Cylinders. 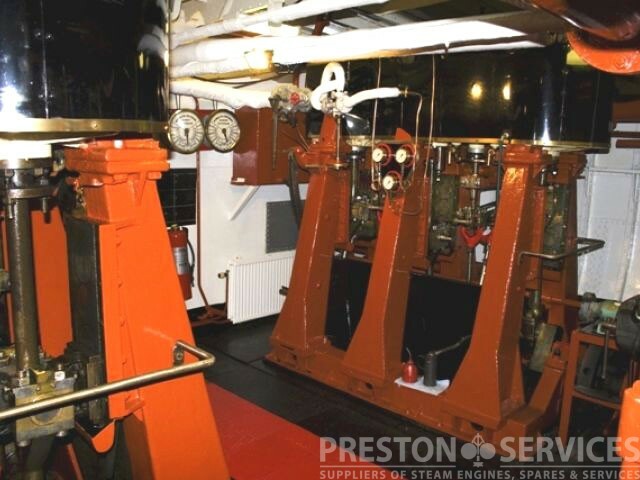 Pumps – various boiler feed, circulation and air pumps, Weir and Drysdale. Bohn & Kähler 3 KW steam driven generator set. 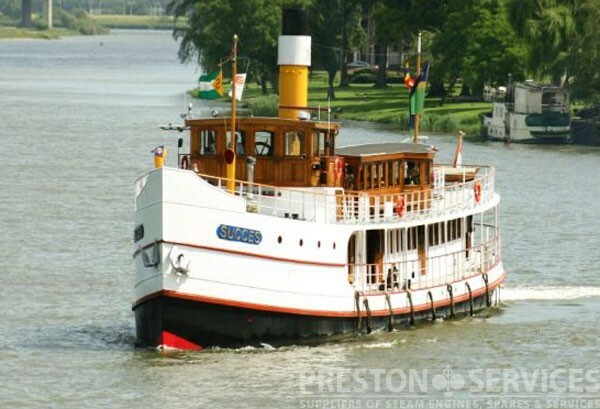 A well known and handsome steam driven sternwheel paddlesteamer. 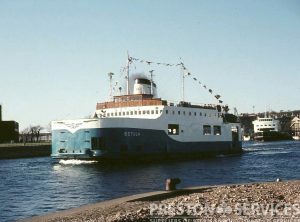 Designed by Uffa Fox, built 1968. Merryweather coal fired vertical boiler.